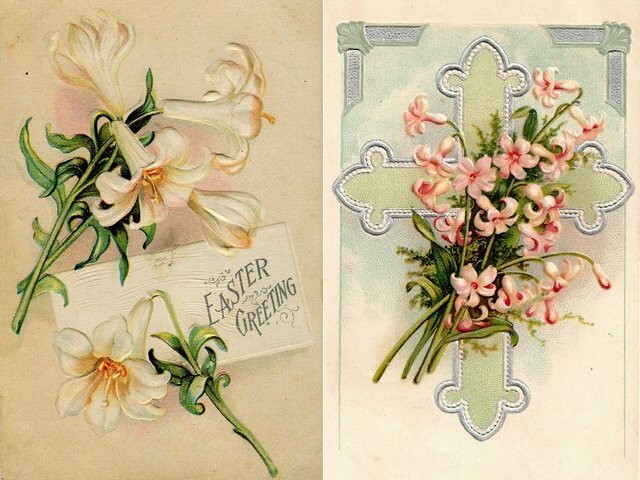 Lovely vintage postcards from the 1910-s on a religious theme, depicting a cross with sprigs of delicate lilies and a Christian cross with pink flowers. Easter is the most important festival of Christians in honour of Jesus Christ's return to the life. Easter always is celebrated during the spring, on the first Sunday after the full moon, between March 22-nd and April 25-th.